Navy blue is the predominant colour of both the formal uniform and sports kit worn by the pupils. There are different styles of uniform for summer and winter and the members of each house wear their specific colour with great pride. Please click the link below for the full lists. Cranleigh School Shop is ideally situated within Cranleigh Senior School grounds. 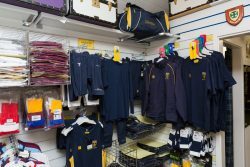 The School Shop stocks every item of school uniform required for both Cranleigh Preparatory and Cranleigh School. 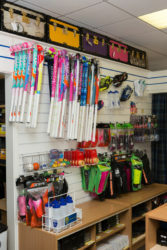 In addition the School Shop offers a limited range of sports equipment, accessories such as socks and tights and a limited selection of everyday branded toiletries including shower gels, shampoo, toothpaste etc for boys and girls. During term time pupils can purchase items using ‘chits’ authorised by their House Matrons or Housemasters/Housemistresses. Purchases are then charged to the pupils’ accounts and itemised on the Fees bills at the end of each term. The School Shop offers a full personal Fitting service for all new pupils during the School summer holidays, via an online appointment booking system. Parents of new pupils MUST make an appointment for Fitting uniform and sportswear; please use the online appointment service. Full Fittings usually take approximately 90 minutes and we strongly recommend parents’ book their appointment as early as possible, once their place at Cranleigh has been confirmed, to secure their preferred date and time. Our School Shop staff will guide you through your child’s fitting and advise you on School requirements. Families with more than one child joining the School should contact the School Shop directly by phone or email and a double, or triple, appointment will be made on your behalf. Please contact the School Shop by phone or email, and a 30 minute appointment will be made on your behalf. These are generally available each weekday afternoon during School summer holidays at 12.30pm and at 1.00pm. 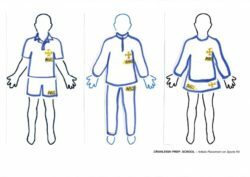 In this download pack you will find the clothing lists, information on ordering name tapes and sewing instructions with diagrams. For the Senior School version of the above download please click here. The Bookshop holds all stationery requirements for Cranleigh pupils and staff. A variety of pens, pencils, paper, folders, calculators and other stationery items are available from well known brands such as Casio, Lamy, Pilot. Greeting cards and postage stamps can also be purchased at the Bookshop. Pupils are permitted to purchase pens and paper on account and are charged to their fees account at the end of each term. Any specific item over the value of £50 (ie scientific calculator) will need parental permission prior to purchase.